Get pregnant with an ovulation calendar. An ovulation calendar provides woman with a perfect possibility to avoid undesired conception, or, if they prefer, to get pregnant easier and quicker. One solution that makes this possible is a program called advanced woman calendar. This tool provides you with two possibilities: the ability to conceive faster by tracing your most fertile days or an opportunity for natural birth control. If you are trying to achieve pregnancy, the software can be used to find your most fertile days of the month since it will monitor your menstrual cycle once you have filled in the information into the program. The software will also tell you of your safe days in which it is extremely unlikely that you ll be able to conceive. The information is shown in a colorful and user friendly calendar, with your non fertile days and you ovulation days highlighted. The program is very easy to use and gives you the most accurate information that you would expect from an ovulation calendar provided by a gynecologist or a doctor. So, whether you are tired of pills and other birth control methods or you are trying to get pregnant faster, this software is the solution for you. It can also increase the chances of having either a girl or a boy. To know more, visit the product website at http://www. 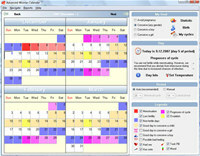 SoftOrbits Ovulation Calendar is a health program that works under windows xp, windows vista and windows 7. It supports both 32-bit & 64-bit windows editions, therefore it could run faster on 64-bit computers. Estimated download time for SoftOrbits Ovulation Calendar on a common adsl connection is less than a minute. 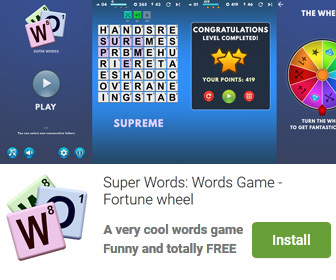 Version 5.2.67 was released two thousand one hundred sixty seven days ago by SoftOrbits. Click the green download button to download it now.